Welcome to 72 kilograms, the only weight class in our collection of 2018 World Championships previews that is being isolated. 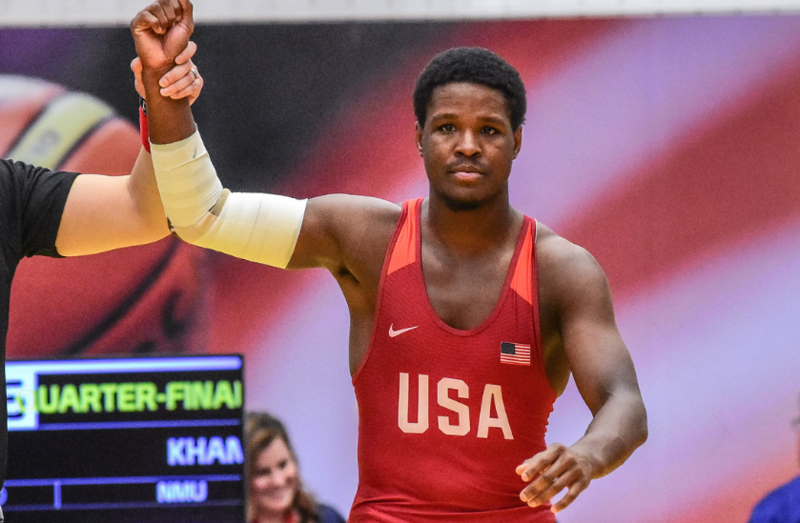 The reasoning is simple — there is an awful lot here to digest, particularly when it comes to Team USA’s entrant RaVaughn Perkins (NYAC). But it also has to do with the firepower available. Five of the athletes in this weight class have won World titles at one age group or another. In addition, there are nine other World medals represented at 72 along with a few near-misses. So in other words, you can’t just hone in on Frank Staebler (GER), who is a two-time Senior World champ, gloss over Balint Korpasi (HUN, world no. 1), and move on from there. Not when there is more than enough talent, experience, and ability to go around. This article makes references to United World Wrestling’s “Ranking Series” — for a brief description please see the first preview covering 55-60 kilograms. For a detailed overview, hop over to here — and updated World rosters for further reference are located here. Thursday, October 25th — Qualification rounds through semifinals. Friday, October 26th — Repechage rounds through medal matches. The World Championships will be available to watch in the United States on Trackwrestling.com. Winner of the inaugural Non-Olympic Weight World Championships in 2016, Korpasi added a World bronze to his resume last year in Paris. He’s 31, so not exactly a youthful guy. But since he’s European, Hungarian, what have you, age doesn’t really represent the same perceived downward spiral we have a tendency to cling to in the States. Discipline is what you get with Korpasi. 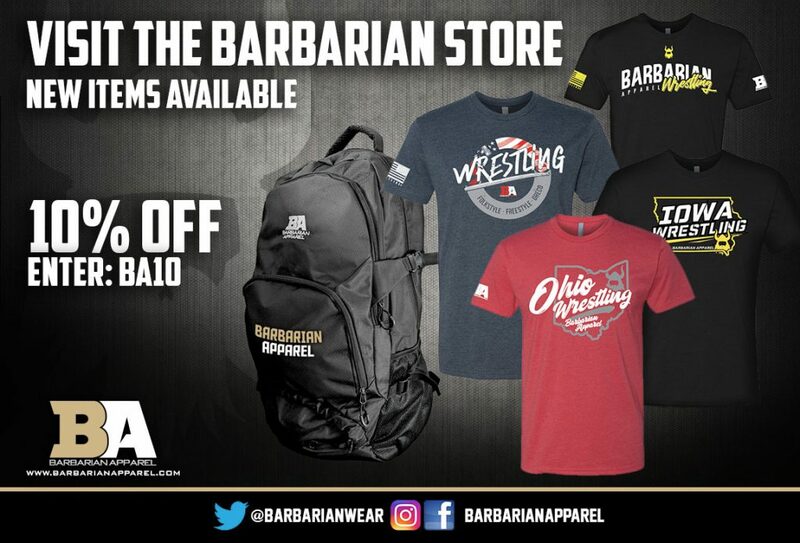 He is a Greco-Roman competitor who is devoted to maintaining position and will fight it out in each exchange if it means looping back into an underhook. Everything about him, for the most part, is classical. Fundamental. Hips in, back semi-straight, staggered stance, furious hand-fighting. 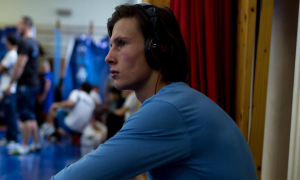 Korpasi is also powerful, of course, and so while there is not the same lights-out explosiveness you find with an athlete like Zhadrayev, the Hungarian is quick and strong enough to lift from his feet standing still, or truck opponents to the mat with bodylocks. And if gets on top it’s a problem, as Korpasi is one of the most fearsome par terre workers in the sport. 2017 World bronze Zhadrayev is not completely different from Korpasi insofar that he is similarly difficult to move around. That’s how he beat Korpasi in the Paris semis. But a reliance on stout positioning — and a few seeming deer-caught-in-the-headlights moments — opposite Frank Staebler (GER) in the finals, cost him big-time. Zhadrayev is at his best when he freelances. That isn’t to say he needs to completely open up. But if you saw this year’s Asian Championships, or the Takhti Cup before that, you would notice that Zhadrayev functions at a very high level when he blends brawling with actionable attempts. Sure, he’s capable of a lot of offense from top, but it is when he creates motion off of tie-ups on the feet opponents are really in trouble. And then there is Kurak, who Russia was not originally going to send. Instead, it was supposed to be Abuyazid Mantsigov. Mantisgov won both the Russian Nationals and Karavev (over Kurak in the latter event), but they’re switching back to the 2015 World bronze, and who could blame them? Kurak, a ferocious wrestler but one who can be frustrated into making mistakes, had one of the most impressive performances of his career at the ’18 Euros, defeating Korpasi early on and finishing off with a fun shootout over former World champ/Olympic bronze Rasul Chunayev (AZE, world no. 4). Two-time World Champion Frank Staebler (GER) is in a weird spot. Between competing in Bundesliga and enduring a pair of semi-recent injuries, the days of Staebler logging “normal” hours now belong to a bygone era. He was tested nicely at the German Grand Prix by Pavel Liakh (BLR), putting some solid work in elsewhere during his three matches, as well. But he declined to participate in the final against Toni Ojala (FIN), and it is likely that he won’t be operating at 100% in the tournament if his wrist is still acting up. 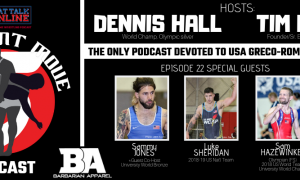 Nevertheless, 29-year-old Staebler is on a different competitive level than just about everybody here, and that isn’t an understatement. He knows how to win and can always be counted on to dig deep when the pressure is on. Daniel Cataraga (MDA, world no. 7) won the U23 Worlds in 2017 after placing fifth in Paris a few months prior. 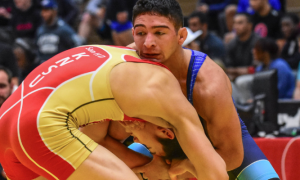 Although he wound up missing out on a medal at the Senior Euros this year, Cataraga scored a crisp shutdown win over Murat Dag (TUR), who took third in the same weight as Cataraga at the ’17 U23 Worlds. 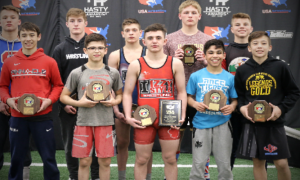 Interesting to mention because sprinkled throughout the 72-kilogram bracket is a collection of other young(ish) athletes who are beginning to assert themselves. Guys like Roman Pacurkowski (POL, age 23), Mateous Morbitzer (CZE, age 24), and 2018 Junior World bronze Parviz Nasibov (UKR), who is only 20. Japan’s Tomohiro Inoue (world no. 17) is creeping into his 30’s, but he is more than viable these days. Earlier this season, Inoue put forth a strong effort by finishing third at the Asian Championships behind 2017 Junior World silver Azkhol Makhmudov (KGZ, world no. 11) and Zhadrayev. 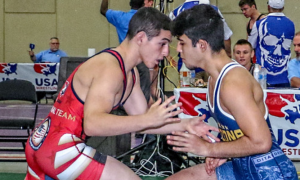 Speaking of Makhmudov, an athlete US fans are familiar with due to his Junior World finals loss to Bey, he has been a terror at 72 and is another young, gifted competitor boasting the kind of arsenal that may very well will create issues for some of the older guys in the tournament. Team USA — RaVaughn Perkins (NYAC) Prior to the World Team Trials four months ago, Perkins was both the best US wrestler in this weight class, and arguably the best US Greco athlete this season overall. Entering Tulsa, his 2017-18 record was 14-2. There’s even more to the story, because records alone are mere datasets. One of Perkins’ two losses came early on in the Dave Schultz finals up a weight class, a tech defeat at the hands of Olympic/World champ Kim Hyeon-Woo (KOR). The other was an awfully-officiated decision in Denmark against Germany’s Timo Badusch. But aside from those two blemishes, Perkins was downright dominating, earning medals in each of the three international tournaments he entered (including a Pan Ams gold) and outscoring opponents by a combined tally of 108-13, with nine of those victories coming via tech. He was cruising, pocketing a second US Open title along the way that included a wipeout of domestic rival Patrick Smith (Minnesota Storm) in the finals. 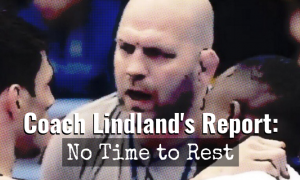 Even recognizing the depth at 72 kilos, Perkins was considered a lockdown favorite to, at last, win a Trials tournament that resulted in an actual Worlds appearance. Then Jon Jay Chavez (NYAC/FLWC) stepped in and came back from a one-sided tech loss in Match 1 of the Trial finals to win the back-end pair. Perkins, as you might imagine, was devastated. He deserved to be. But here he is, “Mr. Second Chance“. 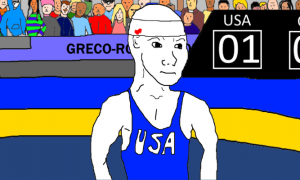 That’s Perkins, not just as an elite World-level Greco-Roman athlete, but as a person, too. You don’t climb up off the deck as many times as he has throughout his life and accumulate the audacity to all of the sudden start taking things for granted. Then again, that’s not exactly why Perkins should — or could — find himself in contention in what is one of the most populated weight classes at the World Championships. Perkins’ style is a big problem for overseas types. In a wrestling discipline where most of the offensive attacks are executed going backwards, Perkins is at his most lethal plowing forward. It pays to recognize this for two reasons — 1) foreigners do not grow up accounting for front-facing attacks; 2) it is one of two areas Americans actually possess an advantage, with the other being conditioning. Jesse Thielke (63 kg, NYAC/LOG) has some of this, too, as do Ellis Coleman (67 kg, Army/WCAP) and Kamal Bey (77 kg, Sunkist). Another asset of Perkins’ is a positively wicked throw-by that has victimized numerous unsuspecting foreign opponents. His length helps with this maneuver, but it’s also a timing thing. He can re-pummel inside off an attack, switch directions if necessary, use his leverage, and then pop whichever limb before jutting behind. There are throw-by’s that are cookie-cutter, but Perkins’ is not one of them. Top par terre is one more area where Perkins is dangerous, the whole “Daddy Long-Legs Gutwrench.” Even if he is unable to go elbow-to-elbow for his lock, Perkins likes to pull prey towards him as he crunches their ribs and then shoot his long outside leg underneath when he begins to roll. And because that outside foot is practically burrowed into the tarp, the momentum his gut creates often proves too substantial for opponents to resist. There are not a bevy of previous match-ups here to serve as meaningful reference points. At the 2016 1st OG World Qualifier, Perkins threw Liakh a bit of a beatdown. On that day, he also defeated Benedikt Puffer (AUT), who will be in Budapest. 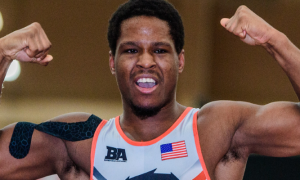 Last year, Perkins dropped a 7-0 decision to Dominick Etlinger (CRO) in Zagreb; this season, the Nebraskan dismantled Toni Ojala (FIN) for bronze at Thor Masters. Match-ups and/or common opponents are immaterial at this juncture. Perkins has competed with less than full health too often to accurately acknowledge and the circumstances surrounding his participation in this event are accompanied by such chaos to where any discernible baseline requires immediate dismissal. It’s a whole new ballgame when someone receives a second chance. 72 is littered with severe talent. Athletes who know that they have to make the most out of this Worlds before the weight classes are consolidated for the Olympic Year. We use the term minefield to describe a stacked bracket, and that’s what Perkins will be attempting to navigate. It’s just, for a guy who can appear so utterly dominant and has also been forced to bit his lip and hold back tears over previous missed opportunities, how can you not expect an inspired, win-at-all-costs performance that is as much cathartic as it is rewarding? Maybe Perkins wasn’t supposed to be here, but he was supposed to have already been here. If the talent and hard work he is known for mixes in with a little magic, don’t be surprised if the end result is a spot on the podium.